The Digital Doctor........ Brian Way. Moving a piano is a complicated process. Pianos & organs are not only extremely heavy & awkward but also fragile. Pianos have thousands of moving parts and can be easily damaged if not moved properly. Don't risk damage to your instrument, your home or yourself, hire the experts! Moving your piano with Lacefield Music will give you peace of mind with our dedicated & experienced movers as well as having the safety of a company who is fully insured. The piano delivery department at Lacefield Music delivers dozens of pianos and organs each week. We hire only the best, most experienced, trustworthy professional movers. No outside contract workers here. When it comes to your next move or piano pick-up, trust only the best. 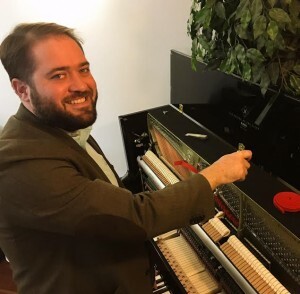 Call (573) 327-2237 and ask for Donovan to schedule your piano or organ move!